Brooklyn—Are you still moving to Canada if Trump wins? Were you eyeing Canada even before the launch of the website Cape Breton If Trump Wins? Was the thought of a President Trump coupled with this summer’s record heat enough for you to explore the possibility of immigrating to Canada? I planned my Canadian vacation as soon as Trump gained traction in the primaries. In fact, many of you headed to the Canadian Maritimes this summer where there has been a resulting Trump Bump in tourism. 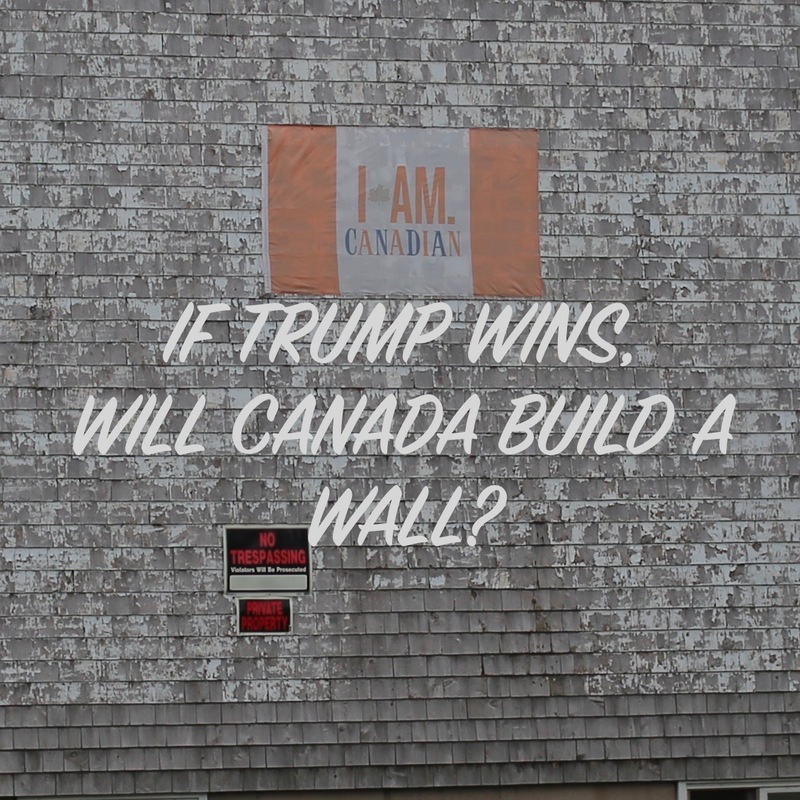 Will Canada build a wall to keep out Americans? Ah, Canada. The land of Tim Hortons, Green Gables, and very literal commercial signage. The restaurant where one might get a taco is called Mexico. The store where one would get a hammer is called Home Hardware. Plain and simple is taken to a level that makes New York feel arabesque by comparison. It’s also the land of competitive politeness. I thought I said sorry a lot until I met Canadians! I quickly realized if I was going to speak to Canadians, I would have to drastically up my politeness game. In spite of their straight forward politeness, I was still nervous to approach Canadians about Trump. My question was absurd after all. Hearing it roll off my tongue sounded like the first time Anne Shirley met Marilla Cuthbert— hysterical and reactionary. So it was fitting that I first asked it at Avonlea Village on Prince Edward Island where people come from every corner of the world to pay homage to Lucy Maude Montgomery’s fictional redhead. It is something of a historic site-theme mall that has the school house Montgomery taught in amongst other original buildings. Enjoying a cappuccino at a Samuel’s Coffeehouse, I asked Eddie, the barista: Will Canada build a wall to keep out Americans? Laughter ensued. It was an example of calm Canadian practicality in the face of fear mongering; a trait I would continue to encounter on the trip. Traveling on I began to understand the economy of the Maritime Provinces. Career choices are somewhat limited. The people at Carr’s of course felt the area relied heavily on tourism, but I asked Dawn, at the Galley Store near Thunder Cove, what jobs might be available to an American fleeing Trump. The tiny general store is nestled between the island’s rolling green pastures and red sandy beaches. So it’s no shock that her reply was, “You either fish or you farm.” Brooklynites—this is where your fancy potatoes come from. In Charlottetown, I met Bill, a retired truck driver, now owner of Northern Watters Knitwear, who used to deliver PEI New Potatoes to Atlantic Avenue weekly. The potential for world market turbulence at the hands of someone who flippantly talks about defaulting on debt and curtailing trade troubles Canadians more than the thought of Americans moving in. They are more pragmatic than xenophobic. Virginia immediately cut through my fear mongering about Americans coming in droves, to assert the global need for a stable US currency. They don’t fear people taking their jobs. Instead they view newcomers as potential job fillers and job creators. This idea echoed as I was laughed out of a gas station for asking my wall question. No was the resounding answer. “We let everyone in.” The gas station clerk reiterated concern that Trump would ruin the world economy. One customer shouted, “Ask Canadians where they get their money from. 75 cents on the dollar comes from the US.” I can only assume he means the exports we buy from Canada. If the US stops buying from Canada because of protectionism or a recession, that concerns them. And Canada in turn is our biggest customer. They buy more US products than China, Japan and the UK combined because contrary to what Trump says, the US actually does still produce goods. In fact, 58% more since NAFTA. So I left the gas station with a $2 bag of a local delicacy known as Dulce—dried seaweed—and headed out to catch a whale watching tour aboard the Georgie Porgie with Amanda Crocker of Freeport Whale and Seabird Tours in the Bay of Fundy. (I highly recommend the whale watching tour but not the dulce.) We had the pleasure of meeting about eight whales, a pod of dolphins, a puffin and a seal who were all totally anti-wall. How do I know this? We were touring an area termed an Aquarium Without Walls—meaning the wildlife chooses to be there. The whales migrate north to feed in the summer after having their babies in the Caribbean during the winter. Amanda was literally on a first name basis with each and every whale that came out to meet us. In this aquarium without walls, I asked Amanda if she’d wall out Americans. Again laughter ensued. Then I asked Amanda if Canadians fear Trump. I was beginning to understand what Canadians fear. Where US economic insecurity is often the explanation given for the xenophobia and isolationism of Trump supporters, Canadians fear Trump could be the cause of global economic insecurity. Where Trump supporters in the US, see his combative arrogance as reassuring masculine strength, Canadians fear unnecessary involvement in further global conflict. 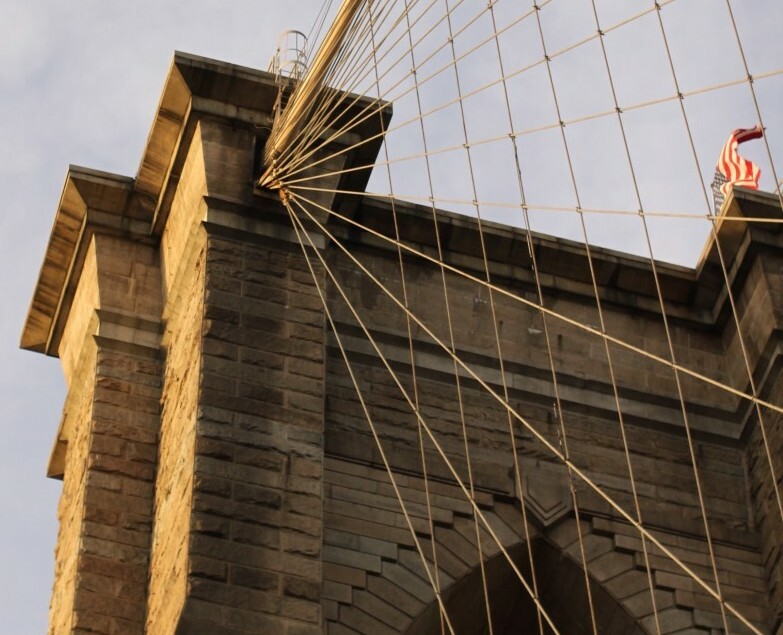 Do Canadians have space for Brooklynites? In fact, yes! They have lots of space! Continuing the conversation with Amanda, I learned that Canadians were already aware of liberal American interest and had specific relocation areas in mind. Real estate is shocking for a Brooklynite as well. Amanda points to a majestic estate on a hilltop over looking the Bay of Fundy. The owner initially put it on the market for $C1 million, but had to settle for $C200,000. In fact, $C40,000 to $C80,000 will get you a very fine home with bay view. Vancouver has more fierce real estate competition than New York, with Chinese investors pricing out locals. That’s the thing about the Maritime Provinces of Canada—you don’t ever have to worry that there won’t be room for you. As a result our entire vacation had a rare unharried feeling. Stress about reservations for restaurants, booking ferries, and parking were all unwarranted. Our hyper competitive attitude, essential armor in New York, was superfluous here. I was now satisfied that Canadians had no intention of building a wall to keep American “Trumpugees” out of their stunning and welcoming land. Not a single person was in favor of a wall. Even their aquarium lacked walls. As absurd as the question may have seemed to the Canadians I interviewed, it proved just the right icebreaker to understand the mindset of our northern neighbors. At least in the Maritime Provinces, there is no fear of immigrants or Americans. In fact, I found that Canadians fear Americans far less than Americans fear each other. While the people I met certainly had economic and security fears, they discussed them with a strong desire to preserve stable U.S. and global relationships, where Americans often assign blame to those relationships. Low population leaves the landscape untouched, but I suspect they value their relationships more because what Canadians really fear is isolation. So what do you say Brooklyn? If Trump wins, shall we move our liberal Shangri-La to the Maritimes? We’ll have to brush up on our hands-on agricultural and fishing knowledge—or we could just bring Eddie a few Chick-fil-A franchises. Cape Breton Island sure wants us. Plus, there’s already an unincorporated area of Prince Edward Island called Brooklyn in Kings County at N 46° 06’, W 62° 40’. We don’t want them to be lonely, now do we? I feel, after reading this yet another amazingly witty and fun blog post, that I was meant to be born Canadian. And that you could write travel guides, Antonia! I am totally considering a Nova Scotia PEI adventure for summer 2017 now! Do it! It’s your spirit country! Brooklynites have already found a place in Canada … and many New Yorkers for decades before them. The last one I met lived here in Charlottetown, PEI and has had a very successful financial services business for 10 years. Pack your bags … the more the merrier! Great article! You are more than welcome back anytime! !